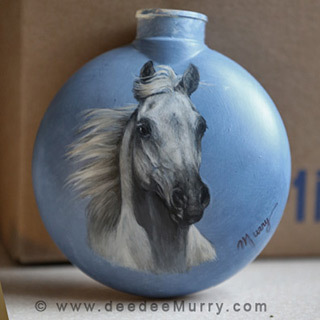 Realistic horse, dog, cat, wildlife, bird art and pet portraits by national award winning artist Dee Dee Murry in oil, acrylic, graphite and mixed media. Prints and originals available in the Galleries sections. 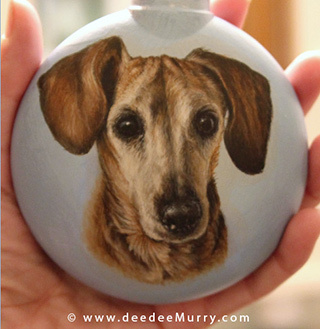 Meet Hallie, the painting dachshund. Hallie not only paints but she is also blind! 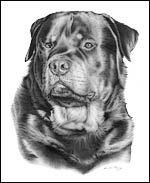 All proceeds go to Purple Heart dog rescue. 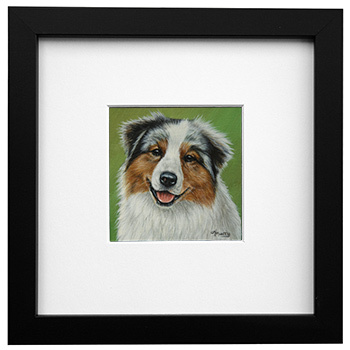 Click Here for a commissioned pet portrait of your horse, dog, cat or any other animal. Just the right size to fit any budget. 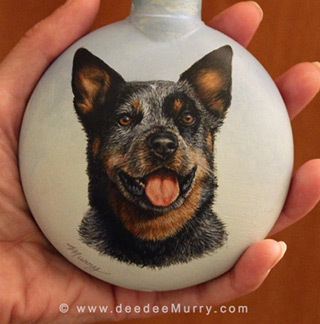 HAND PAINTED PORTRAITS OF YOUR PET ON AN ORNAMENT! These ornaments can be displayed all year long. All Would Envy is on the cover of the IALHA national show issue of the "Andalusian" magazine. 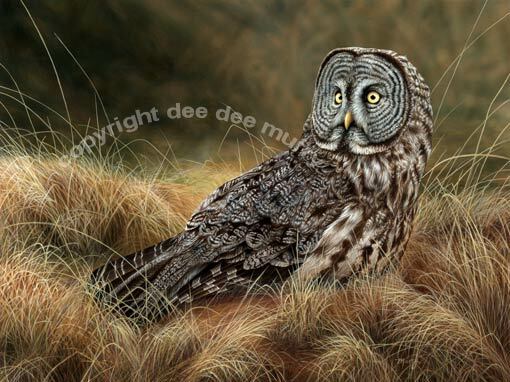 Great Gray Hunter won1st place in the Artist's magazine competition wildlife division out of over 1600 entries! Photo by Ken Newcombe. All prints are printed on the highest quality archival fine art paper and inks. 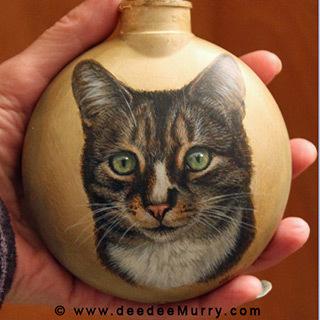 © copyright Dee Dee Murry ALL RIGHTS RESERVED. used in any form or manner without written consent of the owner.